As a religion, culture, and civilization, Judaism has evolved in surprising ways during its long and remarkable history. In this series of 24 lectures, Professor Cherry explores this rich religious heritage from biblical times to today. 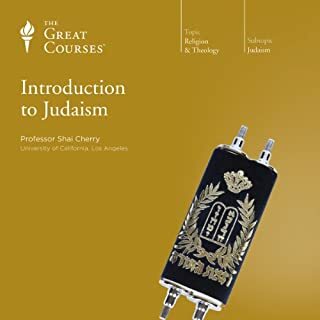 From the first lecture on the Torah to the last on the Jews as the Chosen People, this course is packed with truly fascinating information. 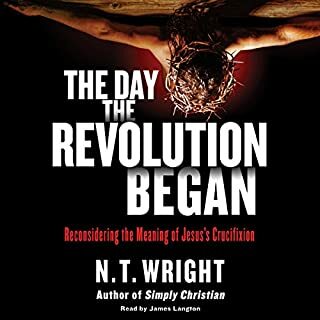 The City of God is one of the most important works of Christian history and philosophy ever written. The writings of St. Augustine are as intriguing to the casual reader as it is to Christian researchers. St. Augustine's work provides insight into Western thought and the development of Western civilizations. The City of God provides the reader with an artful contrast between earthy cities and those in heaven as a representation of the eternal struggle between good and evil. 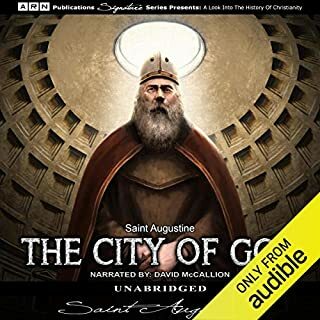 The City of God was originally penned in the early 5th century as a response to the prevalent belief that Christianity was to blame for the fall of Rome. St. Augustine is known as one of the most influential Fathers of the Catholic Church. Born November 13, 354, Augustine would eventually be recognized as a Saint by the Catholic Church, the Eastern Christian Church, and the Anglican Communion. The Old Testament - written in ancient Israel by many different authors over the course of a thousand years - has had more meaning to more people than any other book the world has known. Its influence, whether you consider it scripture or literature, is evident everywhere in our culture, from medieval mystery plays to modern novels, art, music, theater, film, and dance. What can this work teach us about those who wrote it? About the people we once were? And can new academic understanding also speak to faith? As Professor Levine observes: "The Old Testament is endlessly fascinating because it offers everything to explore: myth, saga, and history; tragedy, comedy, and farce; economics and politics; literature and poetry of surpassing beauty; court intrigue and prophetic morality; heavenly miracles and sometimes heavenly silence; questions of theodicy; answers that satisfy and answers that may not; destruction and rebuilding; despair and hope." 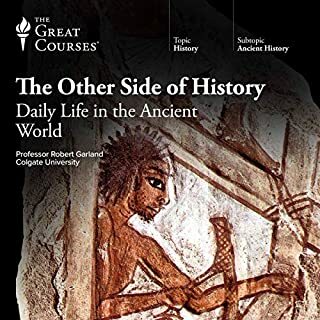 In a series of 24 lively lectures, she takes you down all of these avenues, exploring selected passages from the texts known as the Old Testament, the Hebrew Bible, and the Tanakh, revealing how fresh research and findings from scholars of archaeology, cross-cultural studies, and comparative religion can deepen your understanding. And though the focus of her lectures is on historical and literary issues, Professor Levine does not shy away from issues of religious concern, maintaining that the goal of an academic course is not to undermine religious faith, but to use that academic knowledge as a new source of insight into the writings that form a believer's spiritual bedrock. 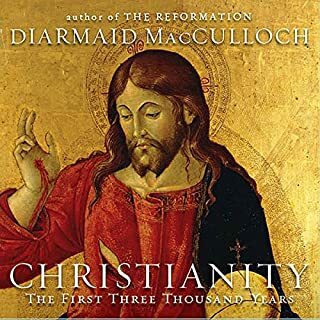 Excellent for Christian, Jew, Muslim, Buddhist, Aetheist, well actually anyone interested in the historical, if not spiritual richness of this material which is too important, even now, to overlook. Also very entertaining. Wish I had lecturers like her. 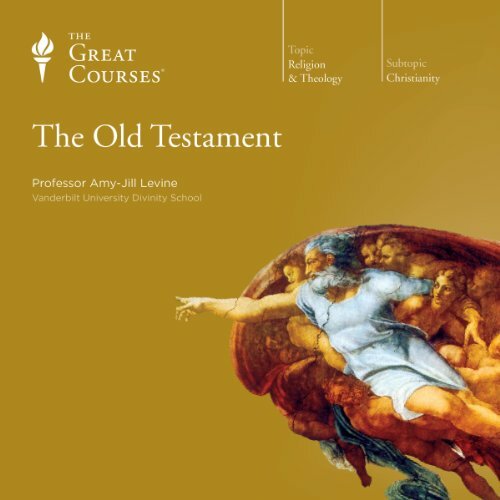 I am intrigued by the name of the course 'The Old Testament' as Prof. Amy-Jill Levine herself is Jewish. One would've expected a course name such as 'The Hebrew Bible.' But Prof. Levine is one of those scholars who has a very open-minded approach. If I didn't know, I wouldn't have guessed that she is not a Christian scholar. In this course she takes you through almost every aspect of the Old Testament or Tanach or Hebrew Bible, whatever you want to call it. In her lectures she also has a sensitivity for the New Testament and I think this enriches her presentation so much more. Lectures 8-11 deals with the rest of the Pentateuch (first five books of the Bible). I found her explanation of various laws and why they are the way they are very interesting. She was able to keep my attention through what might seem very boring to some indeed. Lectures 15-17 deals with the kings of Israel focussing especially on Saul, David and Solomon. The highlight here was her treatment of the story of David and Batsheba. She ends with the earlier prophets. Lectures 18-21 deals with prophecy, the fall of the two kingdoms (Israel and Judah), the exile and restoration. You will be introduced to Amos, Hosea, Isaiah, Jeremiah and a book like Ruth. 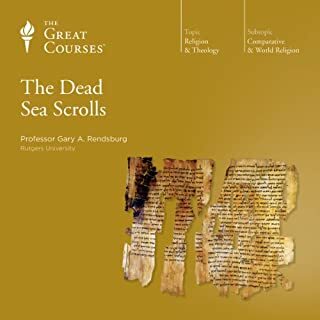 The last three lectures (22-24) deals with Wisdom literature, Song of Songs, Job and Ecclesiastes; the books of the Diaspora, Esther and Daniel and the apocalyptic part of the book of Daniel. It is quite extensive. Prof. Levine is able to deal with almost all of the important issues in the current scholarly study of the Old Testament. Her style and enthusiasm for the subject matter keeps the course vivid and easy to follow (that said, you must have at least an inkling of the content of the Old Testament as this is not a crash course in its content.) 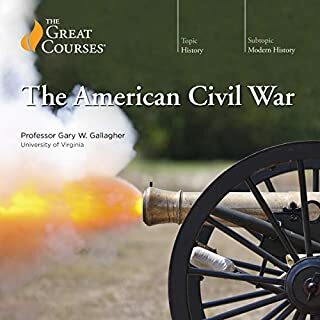 Unfortunately Audible do not provide any study guide in PDF format for the Great Courses series. I recommend this course to those who what to get a grip on the Old Testament and want to understand it better. It is an excellent course covering A LOT of information. What made the experience of listening to The Old Testament the most enjoyable? 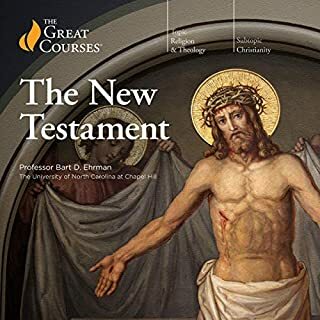 The Old Testament has been a part of my life for more than 40 years, but Professor Levine has brought new meanings and significance to those old, familiar stories I thought I knew very well. Among other things, I enjoyed her exploration of Semitic culture and law, her emphasis on ancient literary tropes and how they lend meaning to the stories, and the way she delves into the stories of minor characters we don't hear much about in church. Her lectures are lively, funny, and illuminating. 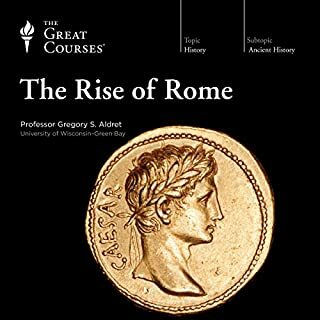 I highly recommend this course for people interested in Biblical studies, ancient history and culture, or literary criticism. Great listen! 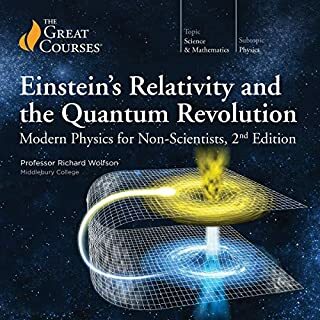 I'd highly recommend this book. 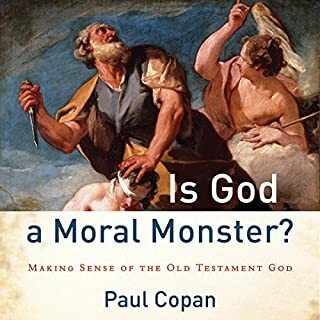 The Old Testament is one of those books that one really should seek to understand, whether or not it has anything to do with your own personal faith (or lack thereof). It is a very foundational book for a large portion of the earth's people. 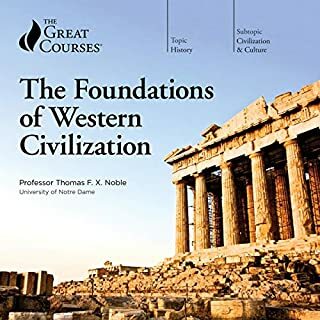 It is so intimately present in so much of western literature and thought that a person living in the west should really try to understand this work at some level. What about Professor Amy-Jill Levine’s performance did you like? The approach followed by the professor is very analytical, but not the least bit cold. She is trying to place the various stories along the historical timeline, and glean insight into the various authors and what the culture was going through at the various times and how this influenced the writing by various techniques. Very interesting parallels are revealed between for example the creation myth in the OT vs. the creation myths of other cultures at about the same time period. No... nothing like that. This book was more of an intellectual thing than emotional. For me at least it was. I suppose it would be that way for most listeners. Listened to it twice so far, and definitely plan to go back to listen again. What did you love best about The Old Testament? Dr. Levine delivered the material with a clear love of the subject and has reached conclusions that while at the time may have challenged her faith have ultimately made it stronger. What was one of the most memorable moments of The Old Testament? Listening to Levine in not so many words refer to certain figures of the Old Testament as jerks. Her lecture on the book of Esther as a farce / tragedy with the implication that if you can't see this then you're blind. Prof. Levine rightly states the study of religion is not just theology - it requires a bit of everything and she indeed includes everything. From looking at the history of the composition as a piece of literature, looking at the recorded history of the neighboring peoples of the region, analyzing the narratives as folklore, recurring archetypes, the Hebrew language, and so much more! 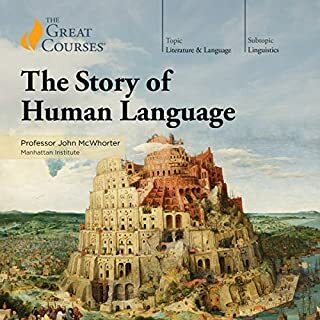 I have listened to many Great Courses and I have heard many lecturers deliver very funny lines, but she made a joke about an ancient near east law code that allowed parents to kill their children who disobeyed and I actually heard one of the producers audibly laugh! What does Professor Amy-Jill Levine bring to the story that you wouldn’t experience if you just read the book? No, 30 minutes is a perfect time to allot to one lecture, it fits exactly on my drive to and from work. However, like any lecture in college, listening to too many in a row can start to get tedious, even for the seriously interested layman. 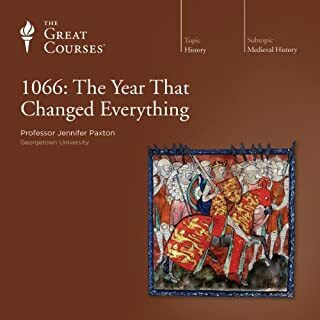 This is one of the older ones back when the Great Courses was still the Teaching Company, so it occasionally sounds of for a split second, as if it was copied from an old tape that got distorted. Would you try another book from The Great Courses and/or Professor Amy-Jill Levine? Certainly from the Great Courses, and certainly not from Amy Levine. Something that accurately reflects the title of the book. Have you listened to any of Professor Amy-Jill Levine’s other performances before? How does this one compare? If you could play editor, what scene or scenes would you have cut from The Old Testament? 1. The continual references to other myths put in the text to further her agenda (and besides isn't the Old Testament complicated enough without embarking on a continual compare/contrast?).2. Her continual promotion of the feminist agenda (this is fine, but state it in the title. And for the record, if you are going to offer a critical reading it would be nice to play contrarian with other points as well, to be fair, not just the ones that promote your agenda).3. The mockery and sarcasm. I am ok with some very strong critiques of a variety of subject matter, but do it objectively and without the ridicule please. If you don't like the stuff, don't read it and certainly don't lecture and profit from it. As an professor I try to remain objective. I am fine with remarkably critical readings from different perspectives on a variety of topics; however, Dr. Levine was not objective. This resulted in lectures replete with feminist criticism of the topic, mockery of other people's interpretations and a serious insinuation that the content of the Old Testament was "inspired" by other mythologies.I didn't expect a religious/theological commentary based on other reviews. I was, however, expecting a rigorous academic commentary, but was sadly disappointed. I continued to listen, assuming that there may be some tidbits useful to pursue or raise over coffee with other academics. But I could not stand the constant references to other mythological systems (which complicated and already complicated topic), the promotion of her feminist views (mocking King Solomon for his wives, called Samson "stupid", etc) and the open mockery of other scholars' interpretations.According to her Wikipedia page: "A self-described "Yankee Jewish feminist who teaches in a predominantly Protestant divinity school in the buckle of the Bible Belt[...]". And she is Professor of New Testament Studies. Modern identifies are complicated. I get it. And critiques have their place. I get that too. But find an appropriate forum and air out your political, social and religious agenda to maintain some semblance of objectivity and do not pass it off as the truth in a work called the "Old Testament". It is a disservice to academic, readers and the Great Courses.For the religiously minded, I would recommend Sacred Texts or Cultural Literacy for Religion. Both are excellent, and while not being theological per se, do refrain from the mockery and promotion of personal agendas.And in my attempt to remain objective, her voice and speaking style was well-seasoned. Hence the four stars for performance. What disappointed you about The Old Testament? I was hoping to learn more about the OT to help build my faith, i became suspicious after hearing her talk in the first few chapters about OT "myths". The final straw was when she mentioned that many believe that King David never really existed and "I think i count myself among them". You decide yourself if this is the direction you're looking for in an OT study. From the very beginning of the lecture series she makes it very clear that she thinks the bible is nothing more than plagiarized mythology. I am half way through the course and I will not be finishing it. 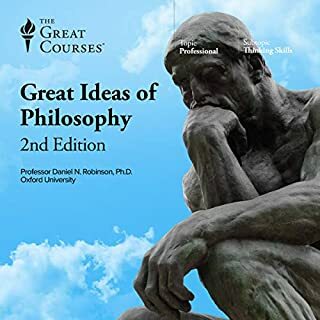 Would you be willing to try another book from The Great Courses? Why or why not? Yes, I have tried other (secular) courses and have enjoyed them. Read the Old Testament but don't waste time listening to this course. Professor Levine does not have convincing facts or opinions. For example, she mentions several times that the OT often tells what people did but does not tell us their motives. Then, Levine fruitlessly speculates about motives. Her discussion of what David and Bathsheba might have been thinking is especially useless and unsubstantiated. In fact, Levine's discussion of Saul and David almost completely misses their story, which is an easy story to read and understand if Levine would just stick with it. Levine seems to favor the view that King David may be more myth than fact, like King Arthur and Knights of the Round Table. From that point of view, she could try to provide more insight into the thinking of the people who passed along the myth. Instead, she tries to speculate on the motives of the mythological figure. Unfortunately, she has nothing that supports her speculations. 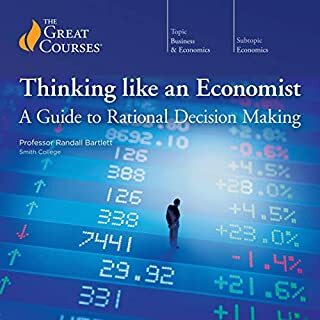 If reading this review has been a waste of your time, you will have some idea of how it feels to listen to this not-so-great course. 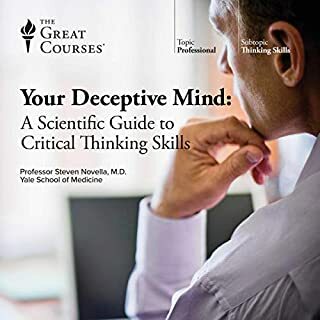 I was very unsure about choosing this course because the reviews on the Great Courses web site (strongly recommended for details of content) are very mixed indeed. Having listened to it I think that this is because devout Christians/Jews would find some of the comments and style sacriligious. For such people I would recommend the course The World of Biblical Israel (also Great Courses) as an alternative. (In fact I would say that that is a better course anyway). That course goes through the Bible with a focus on everyday life in Biblical times, while this course has a more literary focus. I found the material interesting overall and there are some very interesting parts, e.g. about Saul, David and Solomon. But some of it dragged, e.g. a very drawn out discussion of the Covenant. The lecturer is lively and full of personality -- not quite five stars for performance, but nearly. So it was engaging and easy to listen to, but would have benefitted from a bit of editting. I loved the style of this lecturer , I could (and did!) listen to her for hours and hours! I hope she does more Great Courses. I learned a lot, it’s a fascinating subject, entertainingly presented. 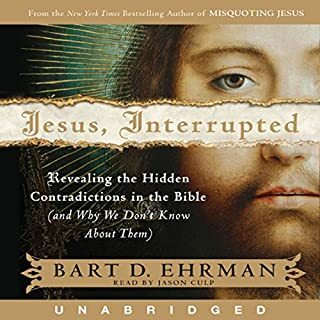 puts the old testament in its historical and literary context, joining up the stories whilst maintaining the mystery, without explicit belief or non belief. Not only excellent content, it is read by the professor herself with engaging narration. Could not stop listening. One of the best Great Courses out there, in my opinion. Professor Levine's approach is very balanced. I'm found the course very informative, interested to hear more! I was fascinated throughout. The speaker ls voice and words were clear, and she explained concepts and stories well. Was The Old Testament worth the listening time?